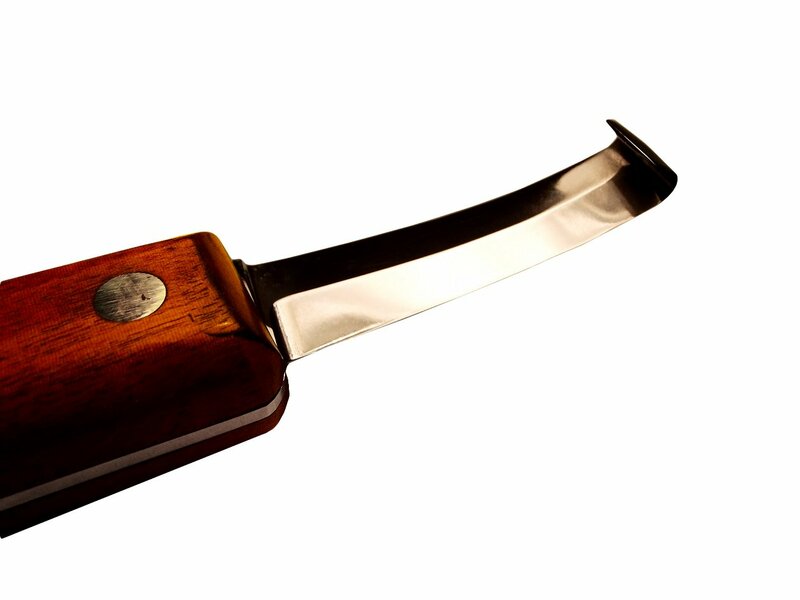 The Pleasant Valley Forge Knife blade is made entirely in Italy long lasting and razor sharp, due to manually by talented hand sharpening. 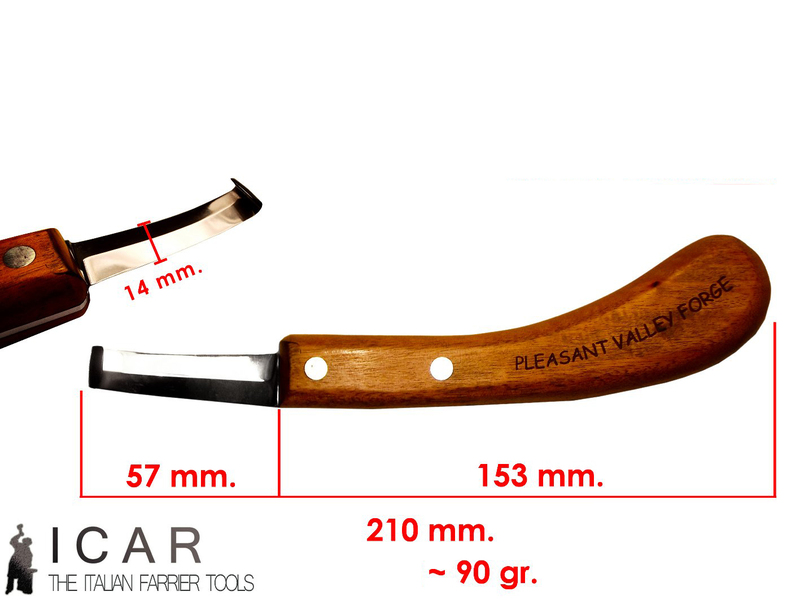 This Knife with double cutting edge can be used by both edges. 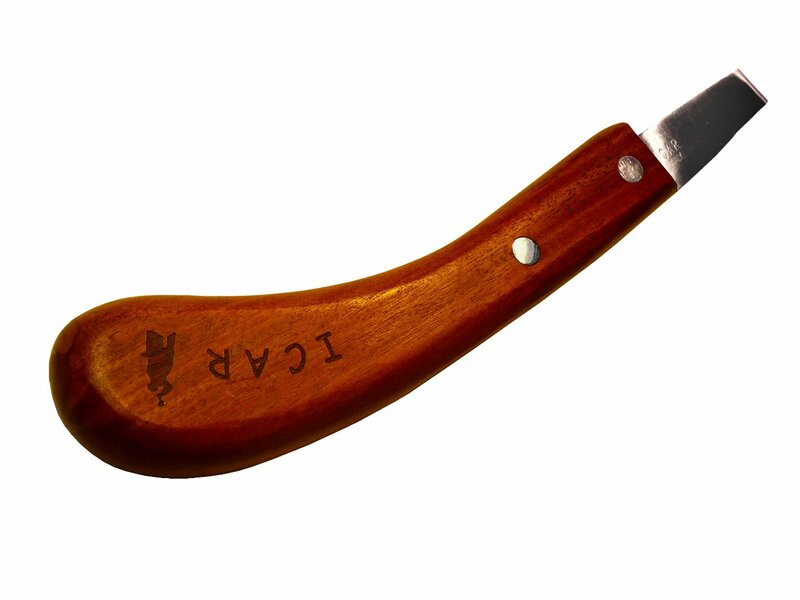 This is an excellent quality knife at a very reasonable price. 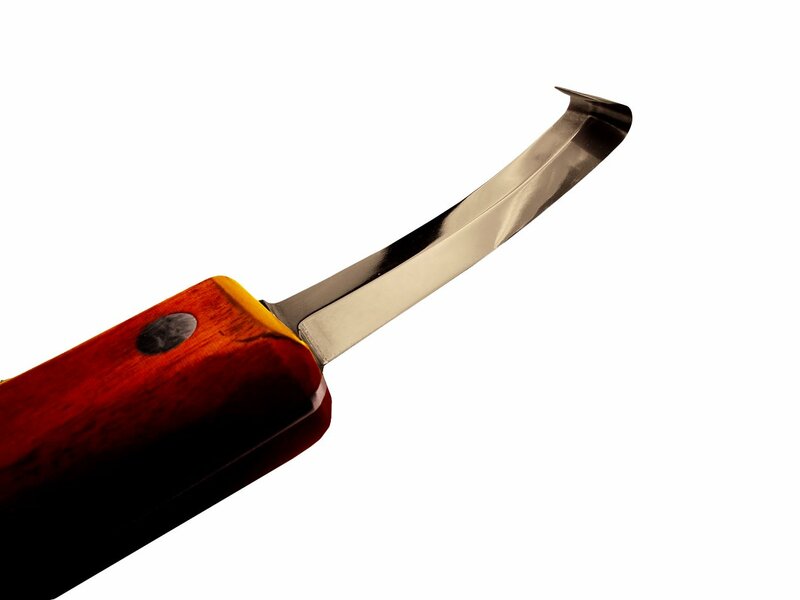 A great knife to replace the now unavailable Halverson Hoof Knives.